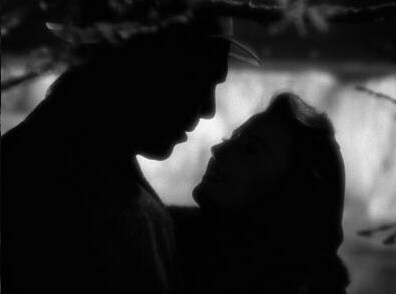 Written by the immaculate Preston Sturges just before he finally delved into directing, “Remember the Night” (1940) opens with the elements of the zany screwball comedies for which Sturges was so well known. But director Mitchell Liesen slowly reveals an intent to make this Christmastime movie something more than a string of lightweight laughs, though his touch with the weightier bits of business is never heavy-handed. There is something, when you get right down to it, romantically old fashioned about bringing a significant other home for the holidays for the first time, and “Remember the Night” employs that idea in very funny, very clever and very real ways. Alas, Lee has nowhere to go. She has no money and has been estranged from her family for eons. So John offers to take her home with for Christmas, back to Indiana which, as fate dictates, also from where Lee hails. “You’re a Hoosier? !” she cries in a line that echoes Tim Robbins’ “A Muncie girl!” in The Coen Brothers “The Hudsucker Proxy” (by which I mean the line in “The Hudsucker Proxy” echoes the line in “Remember the Night”). They set out on a cross-country road trip that, refreshingly, is less about the trip than the end point. John prods Lee to see her family and as opposed to descending into antics, it is genuinely heartbreaking and gives us – and John – a window into what has brought Lee to such a bleak place in life. For her, it has always seemed bleak. Bleak is the opposite of the Sargeant household where John’s mother (Beulah Bondi), aunt (Elizabeth Patterson) and cousin (Sterling Holloway), residing on a picturesque country farm, to welcome their family member and this mystery girl from the city with open arms. They do not judge. And yet, they sorta do, for when John admits to his mother who Lee is and why she is here, his mother pledges forgiveness but also tracks down Lee to explain how hard her son worked to get where he is and how the wrong relationship could ruin him. She does not say this snootily, but honestly and matter-of-factly. It is the way it is, see, and Lee seems to understand, even if she also understands that she has love coursing through her veins for this kindly, handsome lawyer. And, of course, John has love coursing through his veins for her. Sigh... Now THAT'S a movie shot. Hovering all the while over these passages in wintry Indiana is the trial on January 3rd. The stakes are escalated by the comedic run-in John and Lee have earlier in Pennsylvania which finds them on the run from the law and unwelcome back to the Keystone State and which causes them to take a detour through Canada on the way back home. Of course, as John suggests, this means he could just let Lee go to have her freedom. But at what cost do you sacrifice potential true love for freedom? These questions are addressed in a handsomely shot sequence set at Niagara Falls which manages to transcend all the tackiness for which that naturally aweless location is now known. 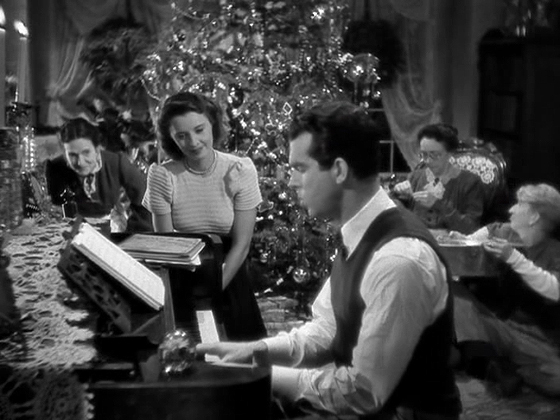 MacMurray outfits his character with an easygoing dignity and Stanwyck truly shines, transitioning from kind of cocky to grateful to bashful about being treated so nice to browbeaten in front of her parents and, ultimately, to poignant regret. You have to respect a film that does not let its protagonist off the hook with convenient plot mechanics (though “Remember the Night” purposely feints in that direction) and instead places the outcome in her hands. As a Hoosier and a Preston Sturges fan I really don't know why I haven't watched this yet.